&QUOT;FAIRCHILD&QUOT; IS A FIBERLESS PANAMANIAN SELECTION OF EXCELLENT EATING QUALITY. THE FLESH IS FIRM, JUICY, AND AROMATIC. THE FRUIT ITSELF IS SMALL AND PALE YELLOW, BUT THE TREE HAS ATTRIBUTES THAT MAKE UP FOR THE LESS THAN STELLAR APPEARANCE. WITH VERY LITTLE EFFORT THE TREE CAN BE MAINTAINED AT A HEIGHT OF TEN FEET AND GROWN IN A CONTAINER. 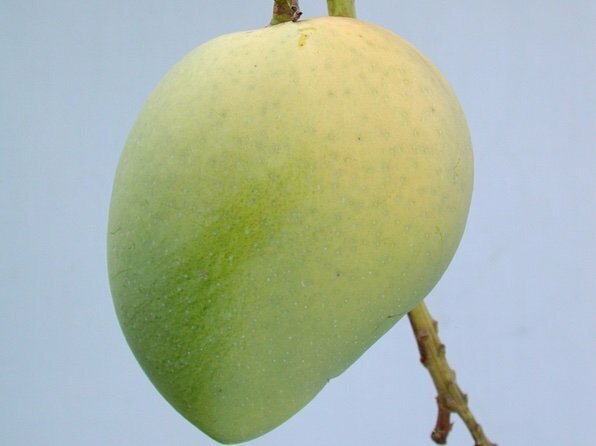 IN FACT, THE CURATOR OF TROPICAL FRUIT AT FAIRCHILD TROPICAL BOTANICAL GARDEN, DR. RICHARD CAMPBELL PH.D., HAS DUBBED IT A &QUOT;CONDO MANGO&QUOT; BECAUSE IT IS CONDUCIVE TO BEING GROWN IN A CONTAINER. THE FRUIT RIPENS JUNE TO JULY.